Amazon is in full sales mode today with two, count ‘em two, major one-day price drops on storage and Logitech devices. We’re covering both sales today, and this article is all about getting great deals on internal, external, and supplementary storage. All of today’s deals end just before midnight Pacific time on Wednesday evening. You can find all of the deals here, but let's focus on our three top picks, all of which are at their lowest-ever prices on Amazon. 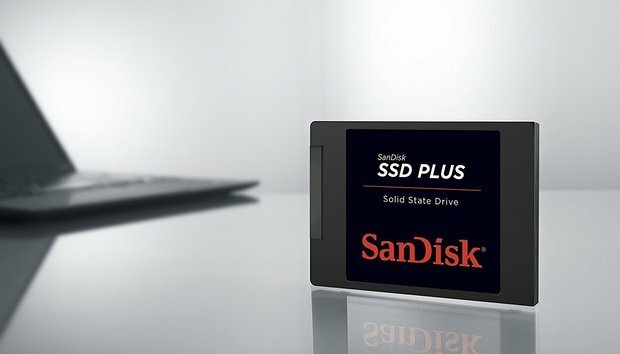 Amazon has the 1TB SanDisk SSD Plus for $140Remove non-product link. That’s $40 off its most recent price of $180. This drive is not included in our favorite SSDs for 2018 article, but other SanDisk drives are, and it’s a trusted brand. SanDisk says the read speeds for this drive max out at 535 megabytes per second and write speeds up to 450 megabytes per second. If an external SSD is more your speed, consider the WD 512GB My Passport SSD for just $98Remove non-product link–about $27 off its most recent price on Amazon. This drive isn’t part of our round-up of the top external drives for 2018. WD’s My Passport hard drive, however, was our top pick as the best external backup drive. The My Passport SSD comes loaded with password-protected hardware encryption, a USB Type-C port, and the usual WD software for backup, cloud storage, and drive utilities. Our final top pick is this SanDisk Ultra microSD for $100Remove non-product link with a whopping 400GB of storage space. That’s $35 off its most recent price on Amazon and one heck of a deal for adding extra storage to a laptop with a card reader, a smartphone that can handle this capacity, or a camera. SanDisk says this microSD is a great card for recording in 1080p. However, anyone shooting in 4K would be better served with the SanDisk Extreme line, according to the company. There’s a whole lot more than just these three drives on sale on Amazon today including thumb drives and a ton of external hard drives.